Run and train like a warrior with the Maasai or hike to a vantage point high above Machu Picchu. Feed your spirit with inspiration at a home for underprivileged girls in India, or a silent alms ceremony in Luang Prabang, and feed your body with healing, Ayurvedic herbs in India, or fresh local produce at a cooking demonstration on Krabey Island. Re-orient your mind through guided meditation with a local teacher at Kuang Si Falls, or learn about the meaning of tribal beading traditions in Kenya. Now you can take your commitment to your wellbeing and desire for authentic experiences in global cultures to another level. 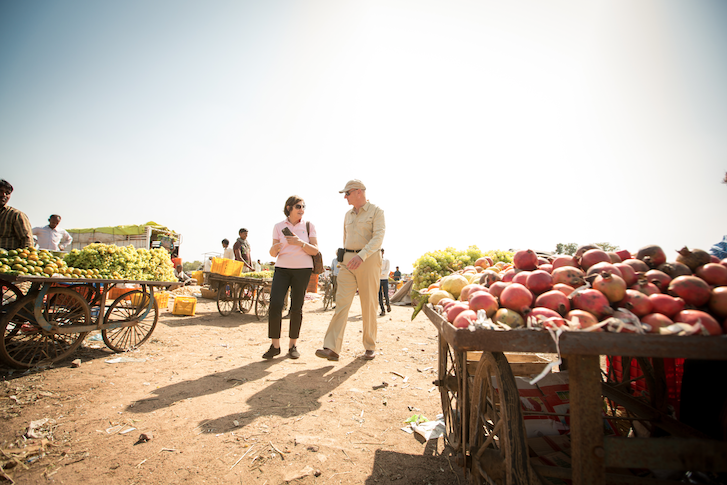 Luxury tour company Abercrombie & Kent has debuted wellness-inspired journeys that immerse travelers in the local traditions of some of the world's most influential wellness cultures and practices, and provide uplifting visits to philanthropic projects where tourism directly supports local wellbeing. Groups are limited to only 18 participants, and the pace is slower, with experiences and travel over 9- 13 days to allow you to stretch your mind, body and spirit, and linger in the deeply personal experiences. You'll stay in wellness-focused deluxe hotels, boutique lodges and luxuriously-appointed camps in one-of-a-kind locations. Explore India’s rich spiritual heritage, from the temples dedicated to Shiva and Lord Vishnu to the Taj Mahal. Participate in a guided meditation and bike ride through the countryside in Udaipur. Privately consult with an Ayurvedic doctor during a leisurely stay at Amanbagh. Explore the countryside of Rajasthan visiting local artisans. Visit an A&K Philanthropy-supported residential school for young girls. Spend two nights in the spiritual heart of India, Varanasi, where you stay in a former palace on the banks of the sacred Ganges, and take an evening boat ride to experience the pitru tarpana, a moving ceremony that honors the memory of a loved one. You won't have to chose among your favorite Southeast Asian country, as the wellness traditions of Thailand, Laos, Cambodia and Vietnam are all part of this journey. Take part in inspirational ceremonies such as a baci ceremony in Luang Prabang and tak bat, a silent food offering to local monks. Witness sunrise at Angkor Wat. Luxuriate on a private tropical island at the new Six Senses Krabey Island. 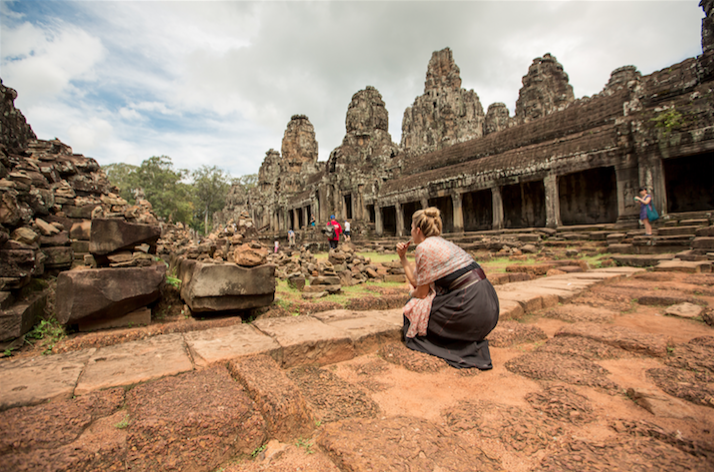 Enjoy a Khmer cooking class, spa treatment or sunset cruise. Discover the difference that clean water makes during a visit to a remote village, where A&K Philanthropy is building wells. Discover tribal traditions and learn about conservation efforts on an active safari in the Masai Mara and Tsavo National Park. Hike through the cloud forests of the lush Chyulu Hills and learn about traditional warrior training from the Maasai, and wonder at game drives and your mythical surroundings during sunrise and sunset yoga. Gain a new perspective on giving back at an A&K Philanthropy-supported school and see how sustainable tourism is providing safe drinking water. From the Sacred Valley and Cusco, discover local traditions in remote mountainside villages and working farms. Learn about a traditional Amazonian medicine, and hand-feed llamas and alpacas. Kayak in a secluded lagoon 12,464 feet above sea level and hike up to a birds-eye view of Machu Picchu. Overnight at the only property located on the ancient Incan site to explore the sanctuary at sunrise. Have your coca-leaf fortune read by a shaman.